Posted: Wed Feb 17, 2010 18:40 Post subject: Google Ads keep this community free to join! 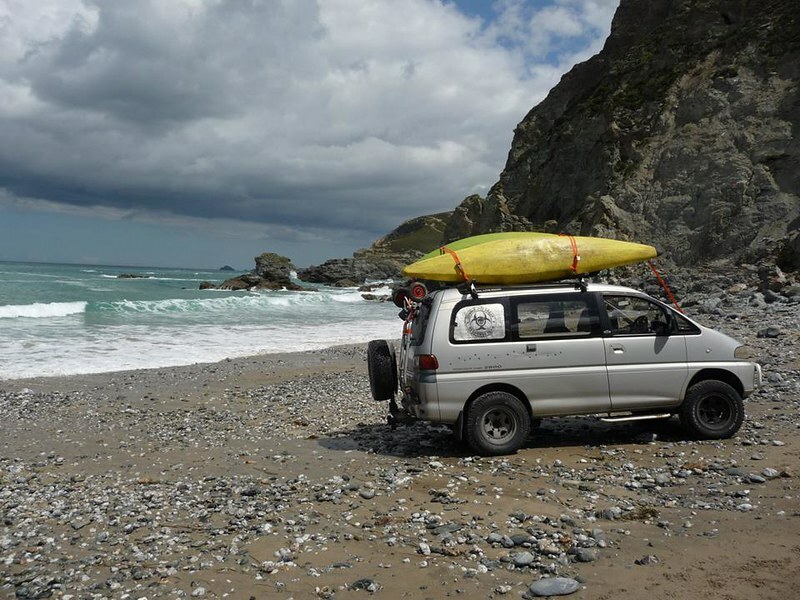 If you like a bit of wild camping, and off-roading and rugged North devon coastline. Check out Welcombe Mouth (no seriously), can get a bit busy most weekends in the summer especially bank holidays but well worth it. Finally - the cornish know nowt about making a decent pasty, the best ones are made in Devon. Looe harbour wall car park, not free but only £4 overnight! Saw another deli at landz end, think it was 17/18 Aug (18), see this threads quite old. So there's little to see as the end bit of lands end I like hived off for large car park and large entrance to 'lands end'where ther are some laser and cinema type entertainment, you walk beyond there, you are onto open cliffs and seascapes. We saw whales (well, basking sharks, gigantic! ), and seals and its one huge wildlife sanctuary with viewi g posts/hides, and awesome walks. Our last night there massive firework display. For the price of your £6 parking, all is included, plus a 2nd trip in that to see fireworks. Itsnenteraining for the kids with live music, and good atmosphere, all parties and fresh cooked donuts get sold off at the end super cheap! We stocked up for our drive home the next day. Perfect timing. The view off Minack amazing and the beach one of top ten in world apparently, I was told when there. Fabulous south coast walk. Betterand safe than trying to walk or cycle the roads as often single lane high banked along the smaller ones. Went to godrevy saw seals. Swam with seals in another bay half way tween St I'ves and lands end. Awesome beach and sea pool at gwythian towans, mmainly surfers beach, but has lifeguarded namby pambys area where we body surfed as family with dogs.